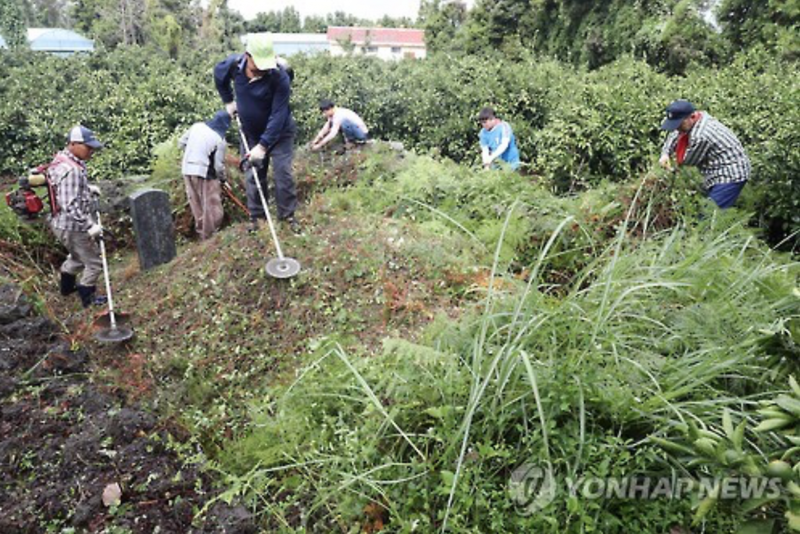 Beolcho: A Korean Tradition Of Maintaining Ancestral Grave Mounds. Ancestral grave mounds can often be seen when travelling around Korea, from the large meticulously maintained royal tombs to the small ones spotted on hillsides in the distance. 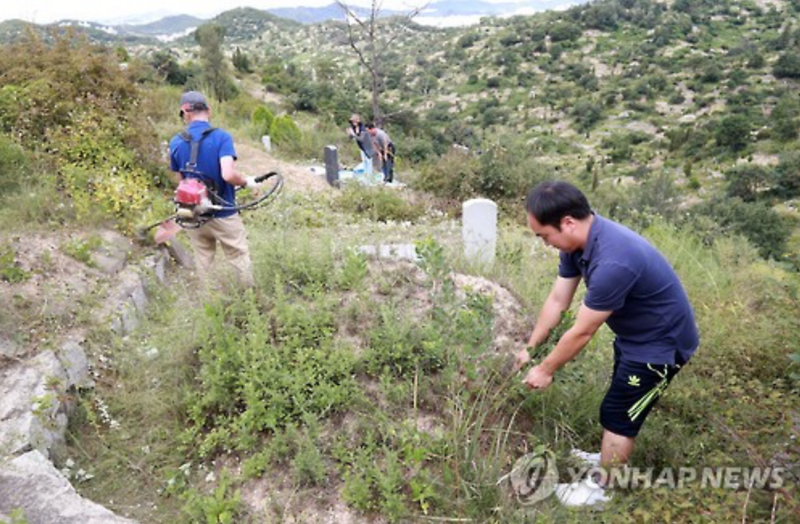 Even if you see an overgrown tomb it is highly unlikely that it is not cared for at least a couple of times a year and particularly before the major holidays of Lunar New Year and Chuseok. Beolcho is the name for the traditional weeding, pruning, grass cutting, and general maintenance needed to keep each tomb in good shape and to honor those that are buried there. 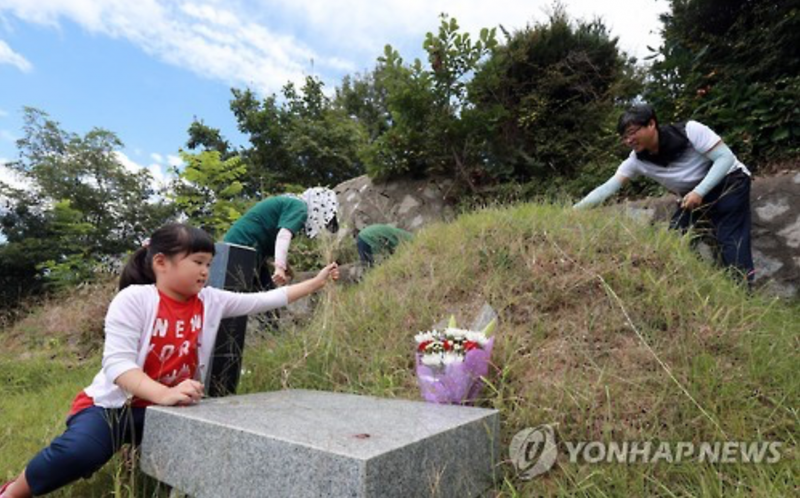 Families come together sometime before the holiday to work on making the ancestral grave mounds look well cared for in preparation for the ancestral rights and the family’s paying of their respects to their ancestors. This year (2017) the Chuseok holiday period lasts 10 days because of when it falls on the calendar. Sept. 30th is a Saturday, and Oct. 1st a Sunday, the 2nd is a government holiday. the 3rd, 4th, and 5th are Chuseok, the 6th is National Foundation Day, then the 7th and 8th are the weekend and finally Monday 9th is Hangul Day. This means many more Koreans than usual will be able to visit their families and some are even planning to go on vacation. Chuseok is somewhat like a cross between the American Thanksgiving holiday and the Mexican Day of the Dead celebration. It, and other holidays, hold great cultural significance to most Koreans and even if there have been slight changes from past practices it is still one of the most important times of the year, and a great deal of preparation goes into it, not least is the custom of Beolcho. You may also enjoy Seollal: Korean New Year, The Game Of Yut, Geune Ttwigi, and Horseback Archery In Korea: A Traditional Sport. All photos credits to original owners. Photos 1 & 2 Elle Marzec, all others to Yonhap News Agency. ← Taeyang White Night Concert In Dallas. Very informative. Thanks for writing this one. Reminds me of my grandparents’ own.